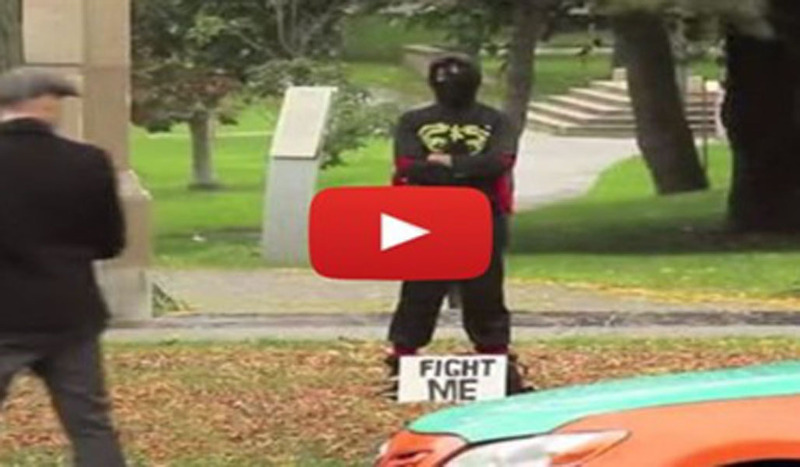 He Stood Around With A Sign That Said “Fight Me.” What Happens Next Will Make You Smile! Now here’s a fight video you don’t want to miss! This hilarious prank gives passerby’s the opportunity to have a sword fight with a ninja. But when you are dealing with ninja’s you are dealing with a sneaky and stealth fighting style. So stealth that out of seemingly nowhere an army of ninjas suddenly appear! Check out this hilarious improv group out of Toronto as they surprise their opponents in true ninja style.